One thing we can all agree on. In this edition of the rundown I’m walking 18 miles, 40 years of Chicana/o History and other events that I won’t be attending because I’m pretty sure I won’t be doing much of anything after walking 18 miles. Anyone wanna give me a foot massage later ? I love Chicano Batman and not just because of their name. 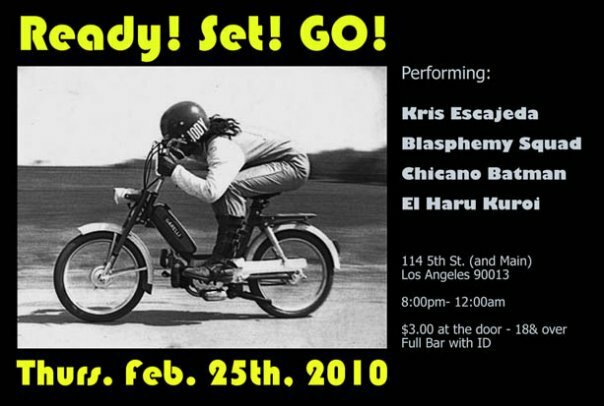 They tear it up live and so does El Haru Kuroi. Los Angeles Critical Mass rides through the city of Los Angeles, exerting our right under California Law to ride bicycles on the street. This is a easy-paced ride. Be Courteous to Drivers. We ride to have fun. We ride to eliminate the hate against bicyclists. Fixed-gear fast riders are encouraged to cork intersections then ride up to the front of the pack and cork again. Though LAPD has been mostly tolerant of our rides, we don’t want to provoke them. Since this is a night ride, you might want to get a rear red blinking light and a front white blinking light. If they (LAPD) tell us to stop at the red lights, we should stop. 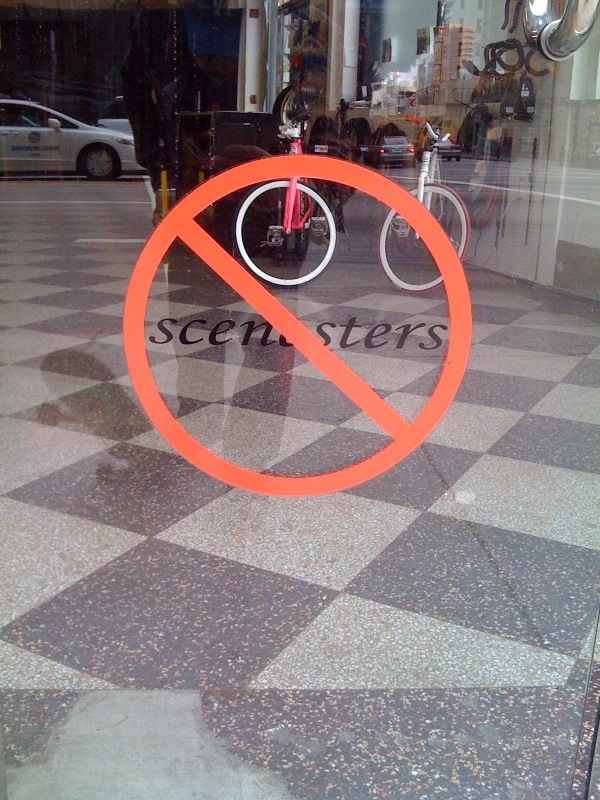 When they drive off, we can resort back to our old LA Critical Mass ways. USC riders meet at Tommy Trojan 6:00pm, Ride to LACM at 6:30pm. 818: Meet at Noho Station 6:30pm and ride Redline down to Vermont and Wilshire. Then ride to Wilshire and Western. Glendale riders: Meet at Rally’s (Brand Blvd and San Fernando Rd) 6:00pm, ride to LACM between 6:30 and 7pm. 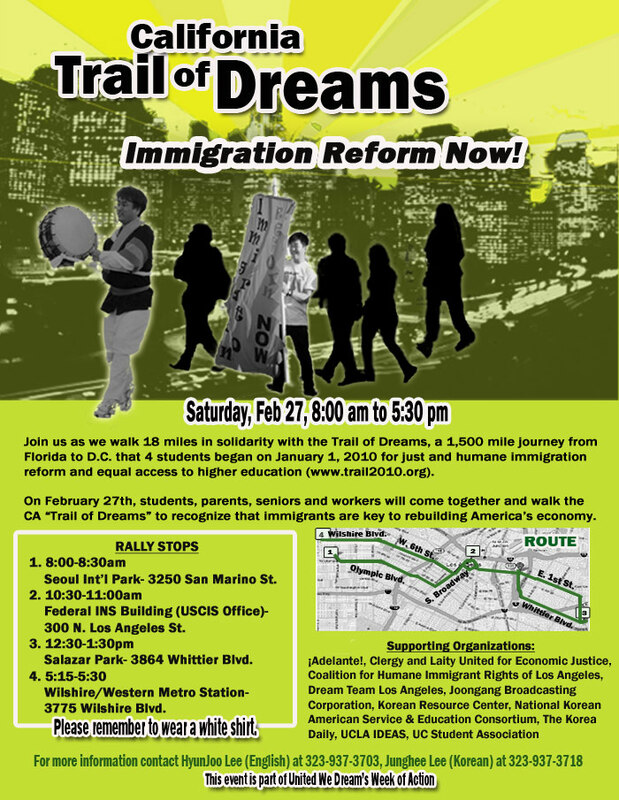 Eastside, please use the Metro Gold Line, Blue Line and Red Line to get to the Wilshire and Western Metro station. 40 Years Later, What About Now? Not all drunks are created writers, some have to work very hard at it. Come listen to local authors read some original works. 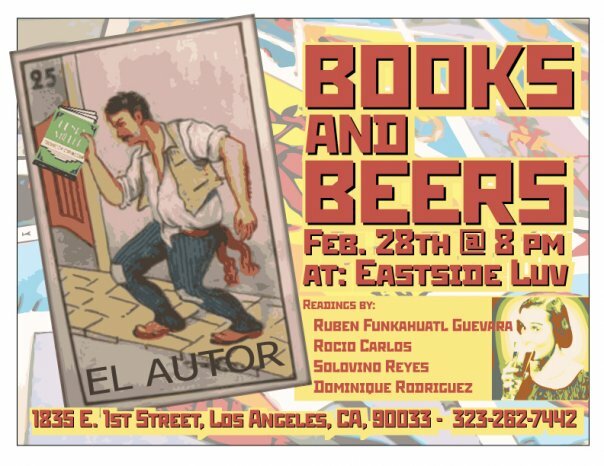 The authors will have their books available for purchase and the bar tender will be pouring proper drink specials. 21 & over. No cover. In the fall of 1967, La Raza newspaper appeared in Los Angeles and was then the only grassroots newspaper of its kind to be bilingual in English and Spanish. 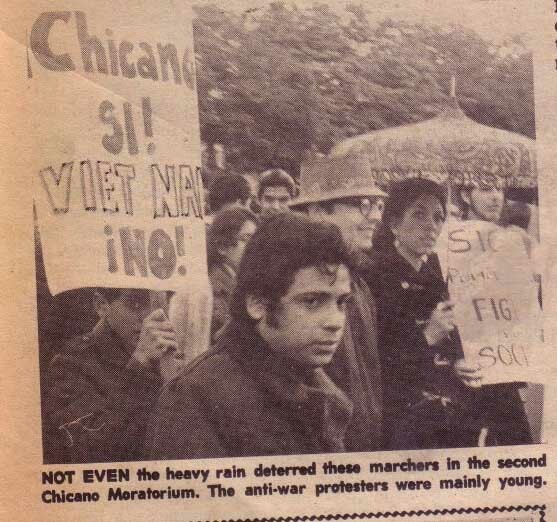 It was run of, by and for activists and members of the Chicano community. Through its articles and photos, La Raza informed, united, educated, inspired and raised the community’s consciousness into an effective movement for social change. La Raza gave a voice to the Chicano community who frequently wrote to the paper, and it gave credibility to up-and-coming Chicano organizations like UMAS, MEChA, Chicana Welfare Rights Organization, the Brown Berets, the Chicano Moratorium Committee, the East LA Health Task Force, Católicos Por La Raza, La Raza Unida Party, and Chicano Studies programs. The newspaper/magazine also gave solidarity to the United Farm workers, helped build support the high school walkouts and it was too a motor for affirmative action. Eliezer Risco – Founder of La Raza newspaper/editor. A writer for the farm worker paper El Malcriado, helped establish CSU Fresno ethnic studies. Joe Razo – La Raza editor. Cal State LA Graduate, defender of worker and immigrant rights with the state Labor commission. Raul Ruiz – La Raza editor & photographer. Historic leader/candidate of La Raza Unida Party, Chicano Studies Professor at CSUN, writer and cultural producer. Patricia Borjon-Lopez – La Raza staff writer. Career activist, Chicana nurse establishing special programs for Latinos and low income, created training programs for Latin@ nurses throughout greater Los Angeles. Felix Gutierrez – La Raza photographer, Cal State L.A Times editor, Cal State L.A Student Body President, Professor of Journalism, USC Annenberg School for Communication and Journalism. Moderator. This entry was posted in culture, East Los, Eastside, Events, Gente, Greater Los Angeles, history, Photos, Politica, Rant and tagged boyle heights, East L.A., random's rundown by El Random Hero. Bookmark the permalink. Did you see that image of a ghost see in the first picture” I’m calling the Eastside ghost-busters to have them investigate. My abuelita told me about the downtown ghosts.